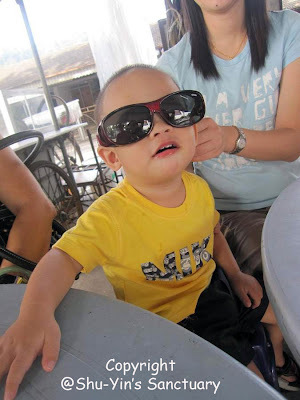 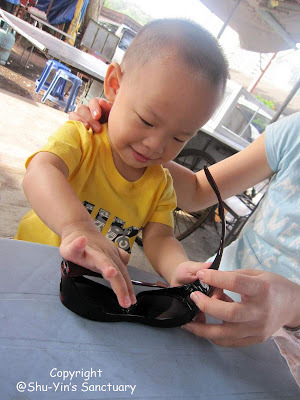 While waiting for food at the hawker's, Shern took kong-kong's shades to entertain himself. 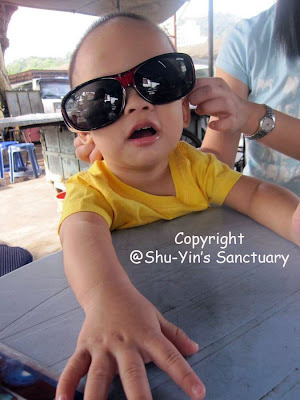 I then let Shern tried them on. He seemed fascinated with the darken vision and he asked for more.